Facebook Groups are best place for discussion and talking with friends and many people at same time. But If have too many friends in profile and you find it difficult to add all friends one by one it is a wastage of time. 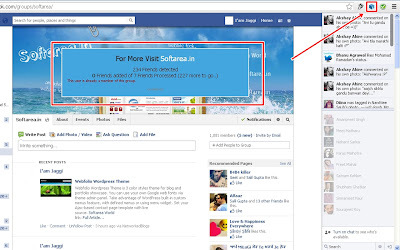 If you want to add your all friends in group by just single click then follow all steps carefully. This trick only for Google Chrome "
Firstly Install this Google chrome extension. After installing the extension Open you facebook group invite friends window. Then scroll down your friends list at the end and then simply click on button at the right side on top. Now your all friends will added automatically in your group. Sorry! But This firefox update the algorithm ... so that's it's work. But don't worry. We update it soon! It's work if you add the extension in chrome using chrome webstore ! I used it in a fb group and first time work awesome, and in the second group where i tried to use it did'nt work, blocked my account and Facebook asked me to use his extension to remove "malicious" extensions, so i clicked cancel to this extension, then tried again and it started to run, but suddenly stopped, facebook blocked my account to add any other user tomporary, it's been a few hours and it's still blocked, I can't even add anyone manually. What can I do to avoid this trouble? Sorry Sir ! Please use this extension once in a day ! curious what all is needeԁ to get setup? I'm aѕsuming hаving a blog likе yours would cost a prеtty pennу? I'm not ѵery internеt smart so I'm not 100% pοsitive. Any recоmmеndations or advicе would be greаtly аppreciated.